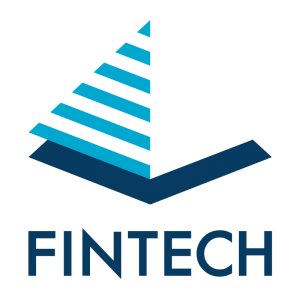 Fintech Financial Services has appointed a number of members to the Fintech Private Portfolios Investment Management Committee through its privately owned Australian Financial Services Licence (AFSL 408634) Fintech Financial Services Pty Ltd (Fintech). The Committee consists of Grant Chapman, the Principal of Fintech & Integrated Financial Solutions, as well as experienced independent financial advisers and investment professionals. Our Investment Committee members have been chosen based on their experience and expertise in investment management, financial advising for the types of clients Fintech Financial Services caters to, accounting and portfolio construction. The Investment Committee is responsible for overseeing the investment strategy and investment process of the Investment Options. Where Fintech select specialist investment managers to manage part or all of an Investment Option, the Investment Committee manage and monitors their performance against agreed benchmarks. Grant has over 20 years experience in the financial services industry and his qualifications include the Diploma of Financial Planning (Dip.FP) and Masters of Business Administration (MBA) through the University of Queensland. Grant is currently the Principal of the Fintech Financial Services. Responsibilities include business management, determining and implementing professional financial strategies and investment structures for high net wealth individuals, business owners and super fund trustees. Grant’s expertise has led to significant financial gains for clients through the building of trust, being able to get a full understanding of their circumstances and needs, determining the best financial strategy and investment opportunities, implementing and reviewing the strategies. Prior roles have included senior banking, finance, financial adviser and management positions. Grant was awarded “Adviser of the Year” in 2000 for his work in the private client services division of a major financial services group. In addition, Grant was seconded by a major Australian bank to assist in the implementation of financial advice processes into their UK based operations in 2001. Grant is an Associate member of The Financial Planning Association. Christian has over 15 years experience in the financial markets and services industry. Before founding Beulah, Christian was an investment manager with a private family office group in South Melbourne where he was managing large cap Australian equity portfolios for private clients across a range of different investment structures, family groups and charitable groups. In addition to his main focus on investment markets and portfolio construction, he gained experience across corporate advisory, business structuring, tax planning and accounting. His diversity of knowledge and experience provides clients with an adviser able to assist them in wealth management. Christian also spent a number of years with Westpac Banking Corporation in their private banking division, managing client’s investments and loan portfolios across asset classes, which included both listed and unlisted investments, structure products and credit securities. Kylie has an active role in the management of the diversified portfolio mandates. She has worked in the funds management industry for over 15 years and in her most recent position, Kylie was the senior portfolio manager of multi asset portfolios with $5 billion in funds under management. Prior to that, Kylie worked in wealth management in the UK as an equity research analyst recommending investments across European and US markets. She has a degree in Mathematics and Finance from the University of Technology Sydney (UTS) and is also a CFA charter holder. Tom has over 25 years experience in the finance and investment industries. Tom is responsible for the Beulah investment process, including the recommended asset allocation levels and the selection of underlying investments, in particular Australian Listed Securities. Before joining Beulah, Tom was a co-founder and the Managing Director of MM&E Capital, a Melbourne based hedge fund where he successfully managed the day to day affairs of both the company and its various funds under management since2001. Prior to this he was an Executive Director of investment bank Flinders Capital Limited which specialised in both listed and unlisted equity investments. Tom has also worked with stockbroker McIntosh Securities Limited, Canadian investment bank Wood Gundy Inc. and retailer Country Road. Tom presents Drive on Melbourne Radio 3AW each afternoon and is a regular finance commentator on media including ABCs Insiders program and the 7:30 Report. Beulah’s investment team provides a comprehensive range of research and ongoing support services to advisory firms. Consultancy services are designed to allow advisory practices to outsource all investment responsibilities, or work alongside their existing investment committee. Firms are provided with designated account managers at Beulah to provide ongoing support. This service is only available in conjunction with the Managed Account Solutions Service run by Fintech. Ibbotson is a leading provider of asset allocation, investment manager selection and portfolio construction services with over 30 years experience in the United States, Australia and other international markets. Ibbotson’s asset allocation process includes a review of the fundamental and technical drivers of each asset class, and the development of expected returns and risks, along with detailed scenario analysis for each asset class.This research is used to develop a strategic long term asset allocation. In addition, as the reward for risk varies through time, Ibbotson have also adopted a dynamic approach to investment strategy that involves moving the asset allocation from time to time with inset ranges. Ibbotson looks to adjust asset allocation targets to preserve capital when the risk of loss is perceived to be high, or to take advantage of an attractive risk/reward opportunity. Ibbotson also provide portfolio construction services across all asset classes, where with assistance from their parent research group Morningstar, they focus on identifying investment managers with superior investment capabilities and then combining those managers with different styles to deliver more consistent returns relative to benchmarks without sacrificing long term performance.